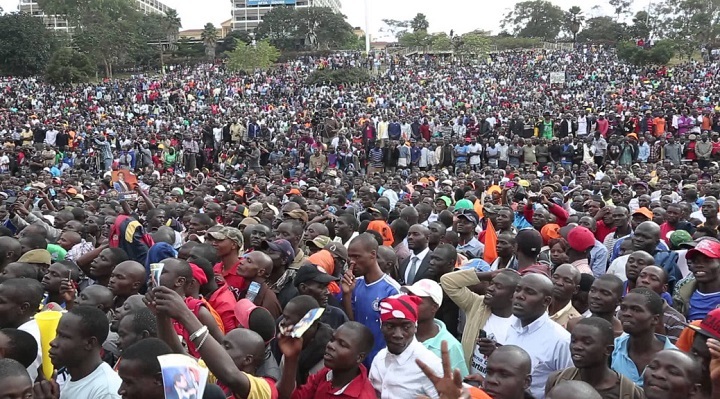 A tug of war is taking place in the Twittersphere between National Super Alliance (NASA) bloggers and their Jubilee counterparts, as each group strives to convince Kenyans to vote for their preferred presidential candidate in the forthcoming October 17 polls. A study conducted by Sochin Limited, has been monitoring 18 Jubilee affiliated bloggers and 19 NASA affiliated ones to understand how each block is vying for the attention of social media users. It’s immediately clear that the NASA bloggers are creating much more chatter than their Jubilee counterparts since the start of the study on September 1. NASA bloggers pushed out two and a half times the volume compared to Jubilee bloggers, with 20,411 and 8,258 posts respectively. But their tactics differ dramatically when looking at how much original content each generated. Jubilee bloggers are kings of reposting content: for each original posts, they had four reposts. NASA bloggers have a ratio of 2.4 times. Another big difference is the amount of noise these influencers are producing on Twitter. Not only are NASA bloggers tweeting more often, but they are also reaching a larger audience. These statistics seem to give NASA bloggers an edge, but it’s also important to see how their content resonates amongst Kenyan Twitterati. According to Noah Miller, the Managing Director of Sochin Limited, engagement scores can give important insights. This score takes into account the number of times a post is shared, commented on, or marked as favorite. Again, the NASA bloggers come ahead since they have the top 68 posts ranked by engagement score. Top of the list is a tweet by @NelsonHavi that got 3,845 reposts, 43 comments, and 2,313 likes. This compares to a tweet by @PolycarpHinga that had 628 reposts and only one comment. So it appears as if the NASA bloggers are winning the tug of war on Twitter though the real impact of their activity will be seen on October 17. It would be fascinating to conduct exist polls on that day and ask voters to what extent they were influenced by all the chatter on social media.